There are many good web hosting providers in Nigeria but I will list 8 best and most affordable web hosting in Nigeria that you can choose to start your business with. Going for another foreign web hosting that does not accept naira directly does not mean you can not pay with your Naira Master or Visa Card and personally, I don't use any of Nigerian based web hosting provider but I use Inmotion Hosting because they give me what I really wanted. Before the list, I wish to inform you that I don't use any of the listed Nigerian web hosting providers and will not guarantee you anything in terms of their performance and support but if you want to use the web hosting that I trust and use then try Inmotion Hosting, this list will be based on the allocated resources and their hosting plan prices. According to what I saw when checking them out, they offer an affordable hosting plans and packages with a price range between ₦2,500 - ₦16,900 per year depending on the hosting package you need and most importantly this customer support is good because they are always online to render help or answer your questions. Web4africa are well known in Nigerian powering thousands of Nigerian websites and yes let not forget that I started with them back in 2012 and later moved to Inmotion Hosting when I believed I needed something more but they are good and well in what they know how to do best. Web4africa offers affordable hosting plans on both shared, VPS and Dedicated Server to Nigerians and their hosting plans allocated resource looks good, their shared hosting plan price ranges from ₦6,000 - ₦60,000 per year. Smartweb hosting is another great Nigerian hosting provider that looks promising and affordable and they offer one of the cheapest shared, dedicated platinum hosting in Nigeria according to them. Smartweb gives you more resource and guarantees excellent server performance starting from ₦3,500 - ₦50,000 per year for their regular web hosting plans. Am sure you have heard about Whogohost Nigerian based hosting provider that has been existing for many years now and if you are looking for cheap web hosting in Nigeria then Whogohost might be the answer to your question as they offer one of the most affordable hosting plans and packages you can choose from. As I said if you want it cheap then Whogohost is the answer and the hosting plan ranges between ₦4,000 - ₦21,000 per year. It might be possible that you have never heard of Globalhosting247 Nigerian hosting provider but according to what I see, they are good in what they do and as well offers an affordable hosting plans design for starters and fast-growing websites/blogs. Their hosting plans and prices range's between ₦2,250 - ₦12,500 per year depending on the package you choose for your business. Utiware might not be known by many but they are one of the Nigerian web hosting you really need to know because they are not only offering you cheap hosting plans but as well offers from SSL certificate on the windows and Linux hosting packages which means you can make your website secure without additional cost. Qservers is not new in web hosting business, their hosting packages are designed to empower Web and Email Hosting for Small-Medium Size Businesses and they are currently powering many Nigerian websites/blog, they are the best when it comes to affordable domain and SSL purchase, in web hosting they are among the big players in Nigeria, if you are looking for reliable and affordable hosting plan for your website then Qservers hosting might be the right choice. 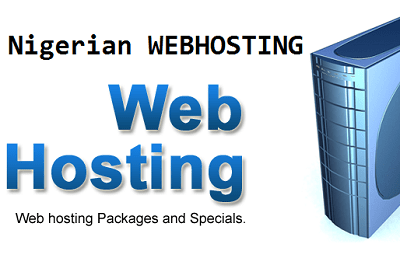 Qservers regular hosting packages and prices range's between ₦3,500 - ₦17,000 per year. Vbhostnet offers something more for less and they designed their hosting packages to cater for small, medium and enterprise hosting according to your need, they have hosting plan called Cpanel hosting for small websites and premium hosting for those who need more power and resource.